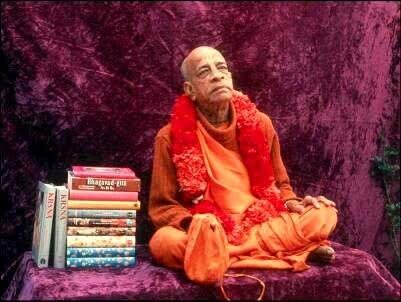 “It is not possible for a common man to write books on bhakti, for his writings will not be effective. He may be a very great scholar and expert in presenting literature in flowery language, but this is not at all helpful in understanding transcendental literature. 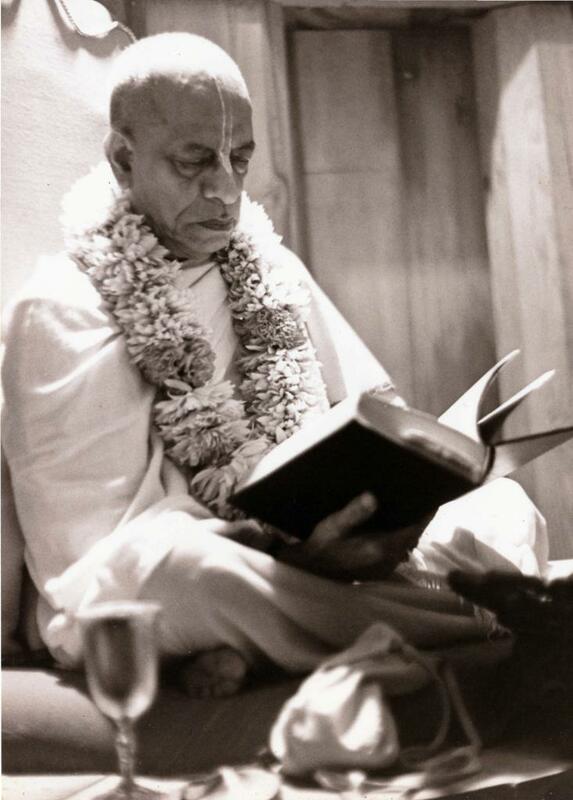 Even if transcendental literature is written in faulty language, it is acceptable if it is written by a devotee, whereas so-called transcendental literature written by a mundane scholar, even if it is a very highly polished literary presentation, cannot be accepted. The secret in a devotee’s writing is that when he writes about the pastimes of the lord, the lord helps him; he does not write himself. 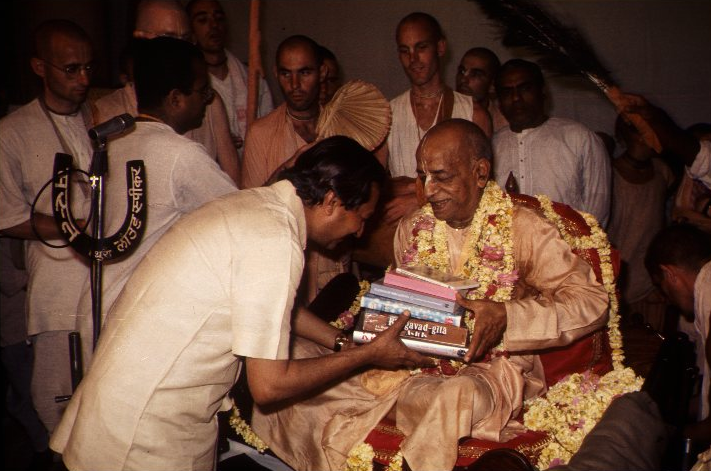 The difference between Srila Prabhupada’s books and other so-called gurus’ (conditioned souls) writing is Srila Prabhupada’s instruction was coming directly from Krsna. This is the transcendental platform. 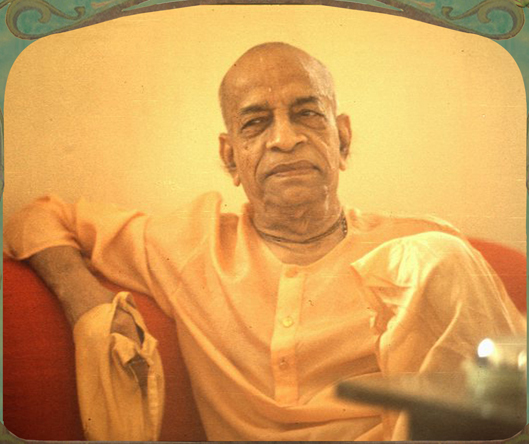 Srila Prabhupada encouraged his disciples, however, to write their realizations. 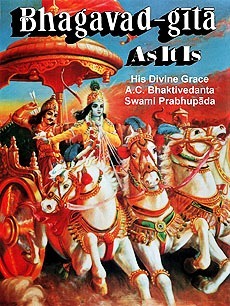 Other conditioned souls may present their nonsense commentaries on Bhagavad-Gita etc., but they will never be quoted for references. 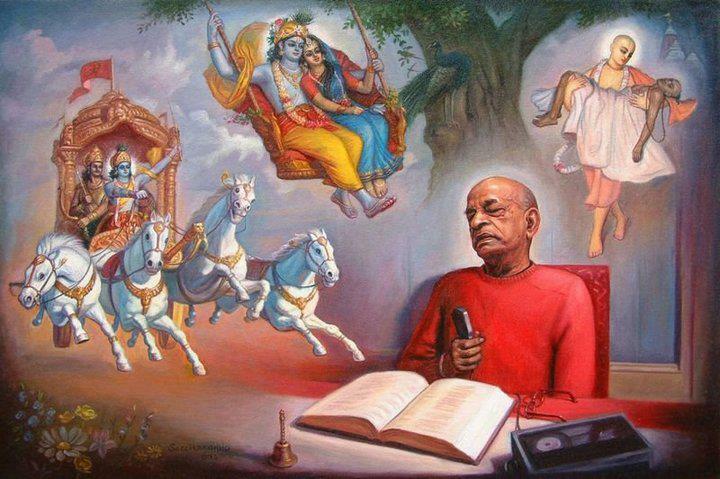 Srila Prabhupada is on the trancendental platform and Krishna speaks through him, consequently only he will be quoted for reference. The Words of the Spiritual Master, That is Living! 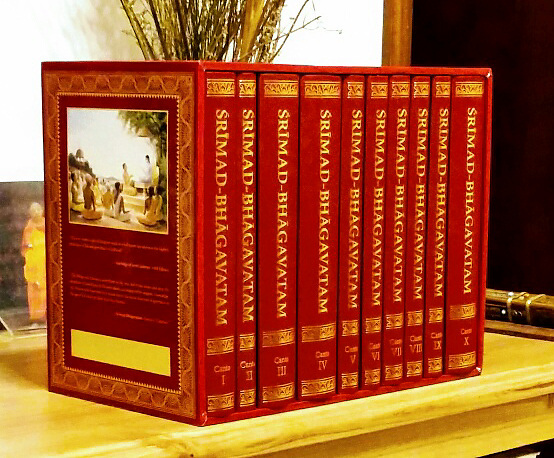 We are very happy to share with you, for the first time ever in internet history, the authorized editions of Srila Prabhupada’s original books in a digitized format. 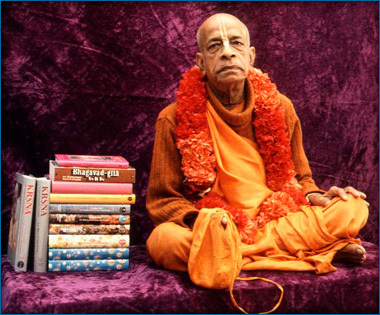 The long and hard work of scanning and digitally remastering all of Srila Prabhupada’s books is almost complete! 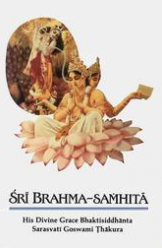 This is the final Srimad Bhagavatam verse translated by His Divine Grace A.C. Bhaktivedanta Swami Prabhupada, the Founder-Acarya of the International Society for Krishna Consciousness. 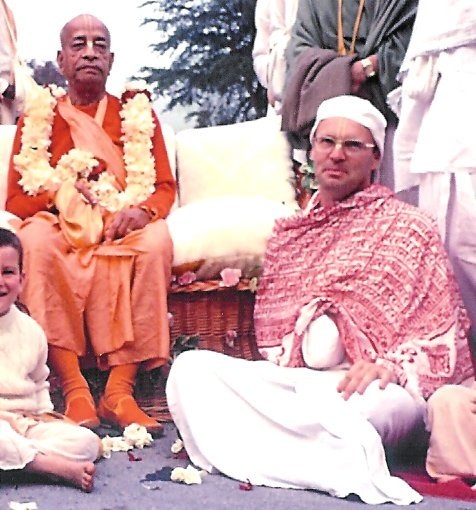 This is where Srila Prabhupada ended his translating, before his departure from this mortal world on November 14, 1977, at the Krsna-Balarama Mandira in Vrndavana, India. śanaiḥ—gradually; atha—then; utthāya—rising; vimṛjya—wiping; locane—his two eyes; mukundam—at Mukunda, Lord Śrī Kṛṣṇa; udvīkṣya—looking up; vinamra-kandharaḥ—his neck bent; kṛta-añjaliḥ—with folded hands; praśraya-vān—very humble; samāhitaḥ—his mind concentrated; sa-vepathuḥ—his body trembling; gadgadayā—faltering; ailata—Brahmā began to offer praise; īlayā—with words. 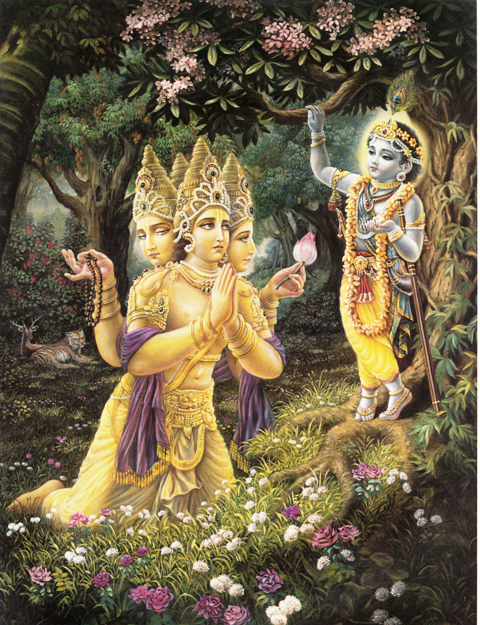 Then, rising very gradually and wiping his two eyes, Lord Brahmā looked up at Mukunda. Lord Brahmā, his head bent low, his mind concentrated and his body trembling, very humbly began, with faltering words, to offer praises to Lord Kṛṣṇa. Brahmā, being very joyful, began to shed tears, and he washed the lotus feet of Kṛṣṇa with his tears. Repeatedly he fell and rose as he recalled the wonderful activities of the Lord. After repeating obeisances for a long time, Brahmā stood up and smeared his hands over his eyes. Śrīla Viśvanātha Cakravartī Ṭhākura comments that the word locane indicates that with his two hands he wiped the two eyes on each of his four faces. Seeing the Lord before him, Brahmā began to offer prayers with great humility, respect and attention. Below is a link that has been suggested we include from our site. 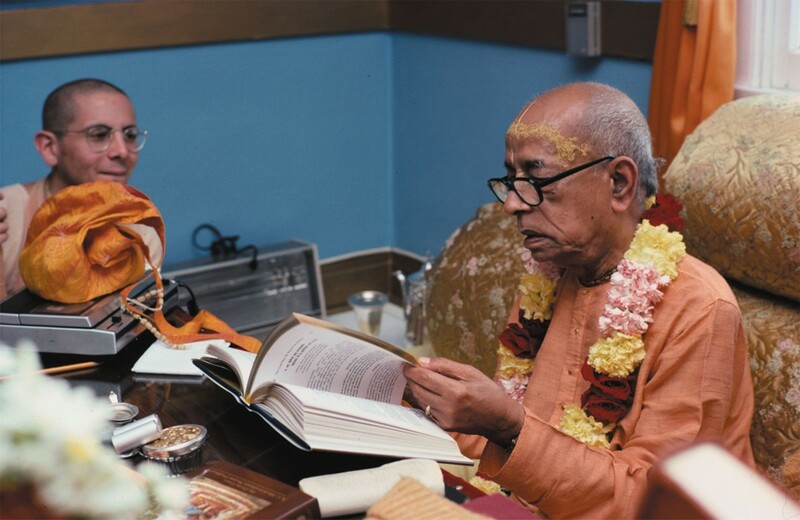 We are strong proponents of making the Original Writings(books) of His Divine Grace A.C. Bhaktivedanta Swami Prabhupada available again, and are urging the printing and distributing of all of Srila Prabhupada’s great original works, throughout the world. So with great pleasure we submit the following Facebook link. Importance of these original books. My dear Miss Nedungadi, please accept my greetings. I am in due receipt of your letter dated March 6th, 1975 and have noted the contents. Thank you so much for your kind appreciations. I am so much grateful that you have enjoyed studying my books. Many young intelligent persons such as yourself are studying these books in the colleges and universities all over the world. 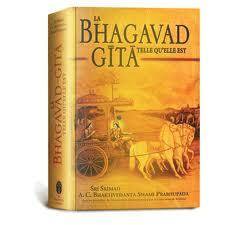 Actually anyone who tries to understand these books will become a great realized devotee of Lord Krishna gradually. 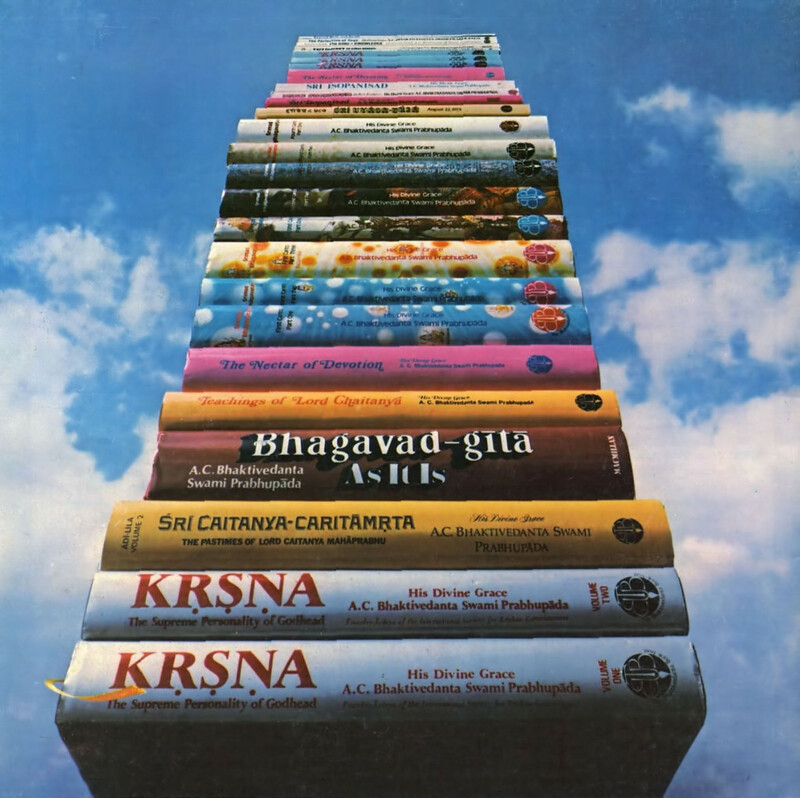 The original potency of the sastra remains in these books because I have not added or opinionated anything of my own. 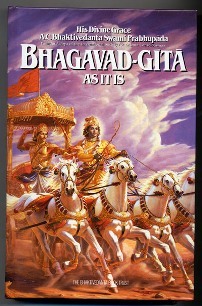 I have simply presented the scriptures such as Bhagavad-gita and Srimad-Bhagavatam as they are. Therefore just see the effect they have on the world. At present, we have about 100 centers worldwide and about 10,000 fully dedicated students in those centers. You are welcome to visit or stay in any of our centers for your spiritual advancement. We have a nice center in Madras: 50, Aspiran Gardens, 2nd St., Kilpauk, Madras–600010. You can get all the books there. 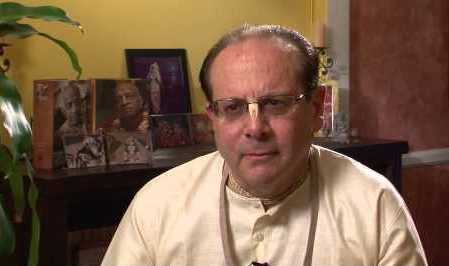 I will be in Bombay at the end of April and beginning of May. So, if you can come then, I shall see you there. In the meantime please correspond with or visit one of our temples.